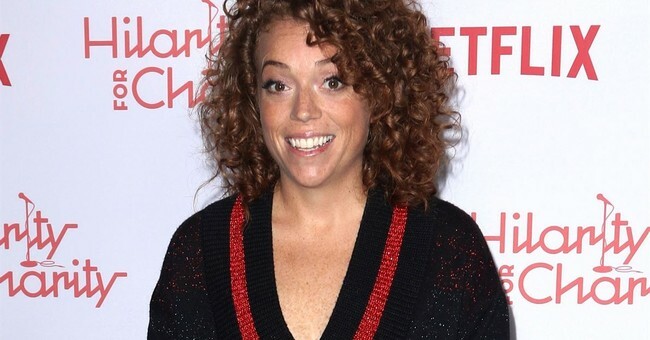 Netflix “comedian” Michelle Wolf’s show has been canceled by the online streaming service after the raunchy comedy program failed to attract many viewers. "The Break with Michelle Wolf" only lasted one season and has been on Netflix for less than three months. But, Wolf sparked controversy in April after making several jabs at this year's White House Correspondents Dinner making fun of Press Secretary Sarah Sanders’ appearance as well as abortion. Several high profile conservatives, including American Conservative Union president Matt Schlapp, walked out of the event in protest of her disparaging remarks. Then, months later on her now-canceled Netflix show, Wolf compared Immigration and Customs Enforcement to the Islamic terrorist group known as ISIS. 'Women, don’t forget, you have the power to give life and men will try to control that...Don’t let them,' the comedian said." As the Hollywood Reporter notes, "When Wolf’s weekly series was first announced, the 33-year-old joked that viewers could 'expect the types of jokes my former bosses would tell me we couldn’t do on TV.' At the time, Netflix’s vp content Bela Bajaria added more earnestly: 'We're thrilled to be working with … a performer with a singular voice.'" Perhaps Wolf should have listened to her former bosses. It seems the audience didn't appreciate the jokes she was now allowed to say. In the end, Wolf was 'fired like a dog' as President Trump might say.